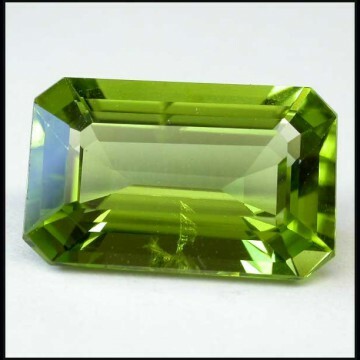 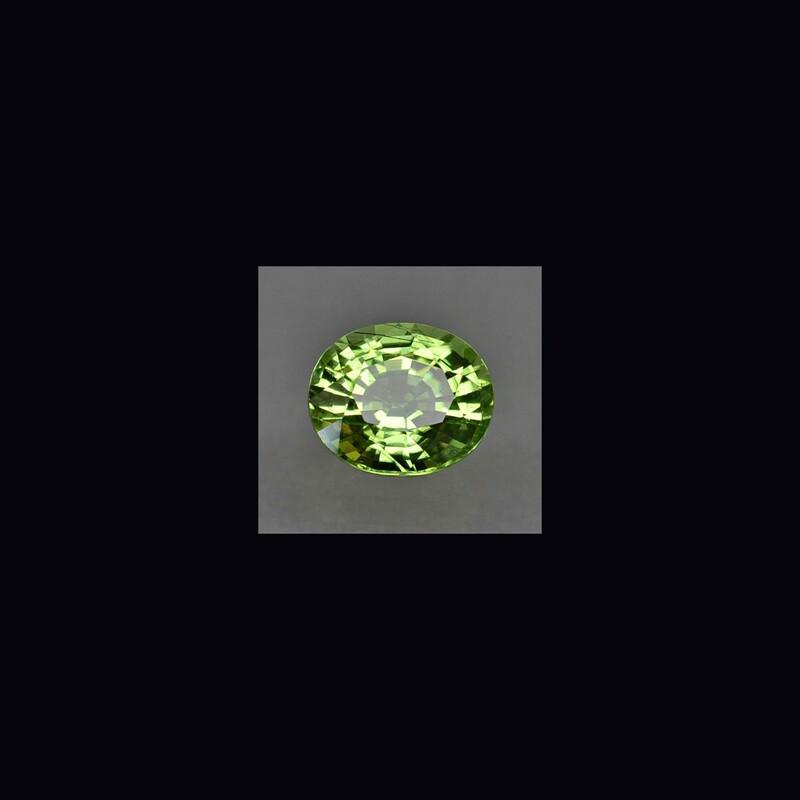 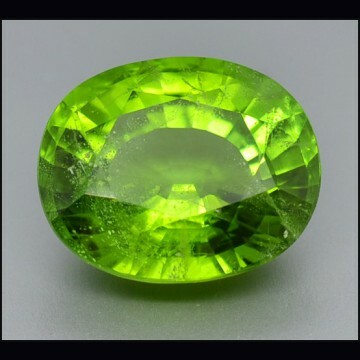 > CUT GEMSTONES>PERIDOT>PERIDOT> Peridot 4.43 ct.
Is the gem variety of olivine ,actually composed of two minerals: forsterite and fayalite. 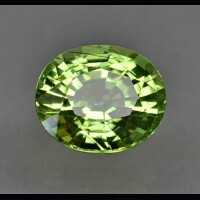 It is found in various locations in the world and quite common in small sizes, but becomes rare in larger size and is difficult to find completely clean. 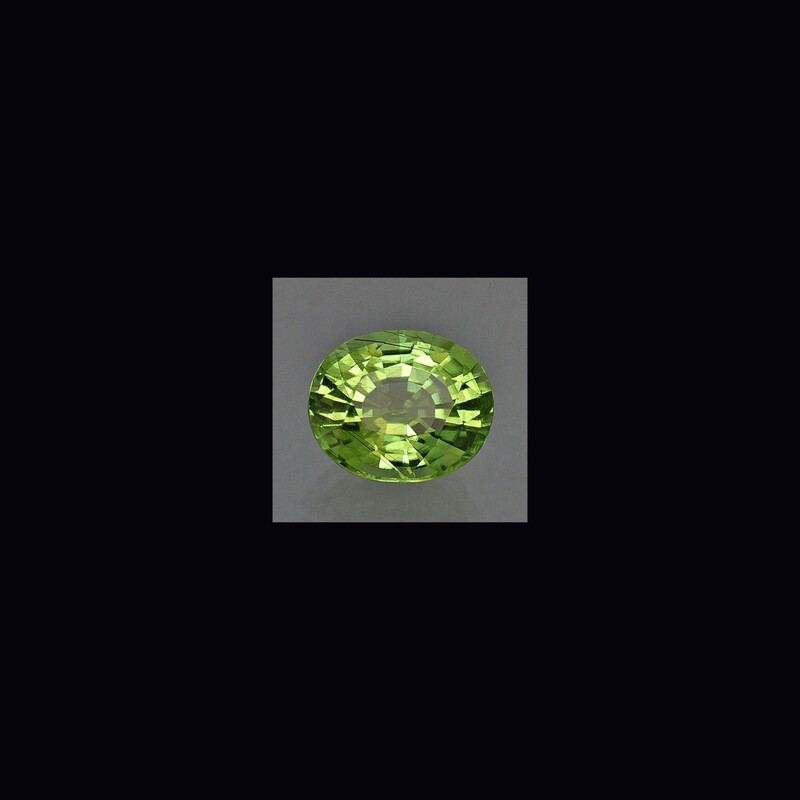 Stones over 50 ct, flawless are great rarity. 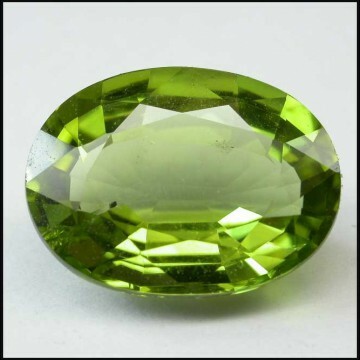 The most famous productions locations are: Arizona, Pakistan and Myanmar (Burma); recently also China produced a good material. The color is due to iron ;chromium and nickel also contribute to the best color. 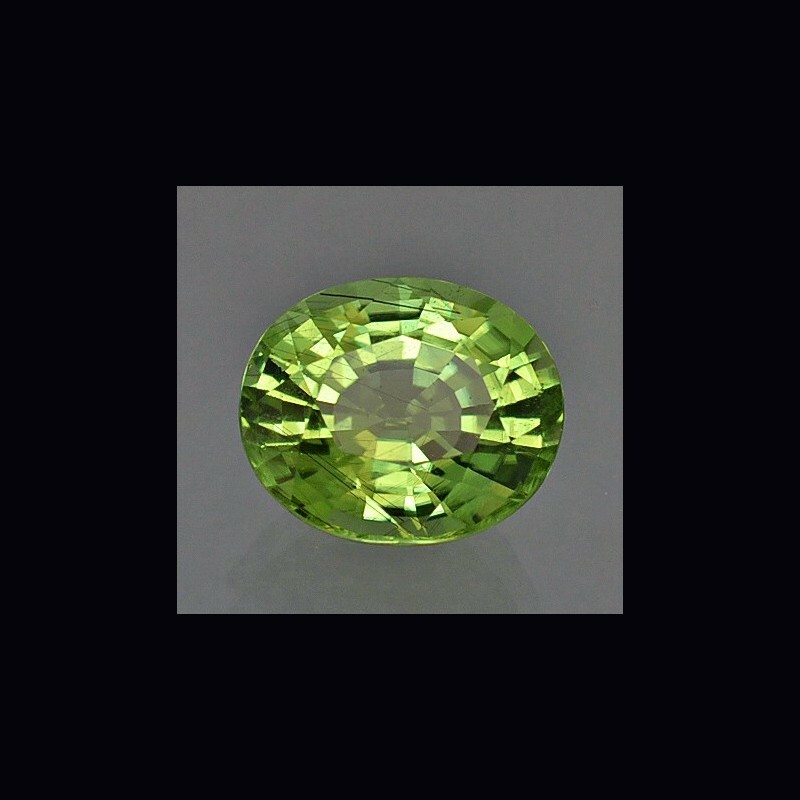 The hardness is 6.5-7 from the Mohs scale.Some small needles inclusions of ludwigite may be visible with the loupe. 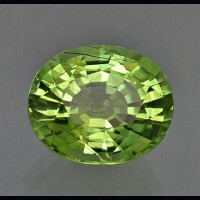 Recently there is a big demand for this very old gem. 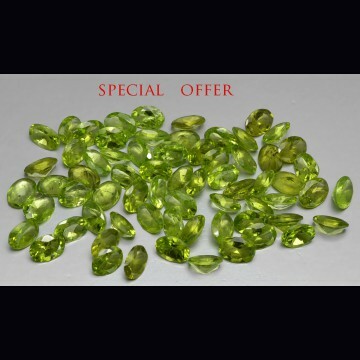 Peridot lot oval 67 pcs. 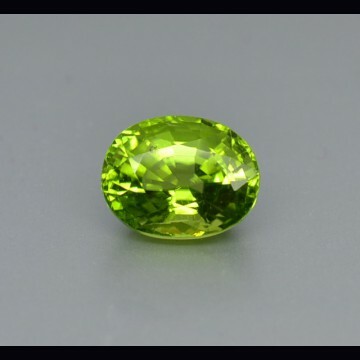 45.01 ct.